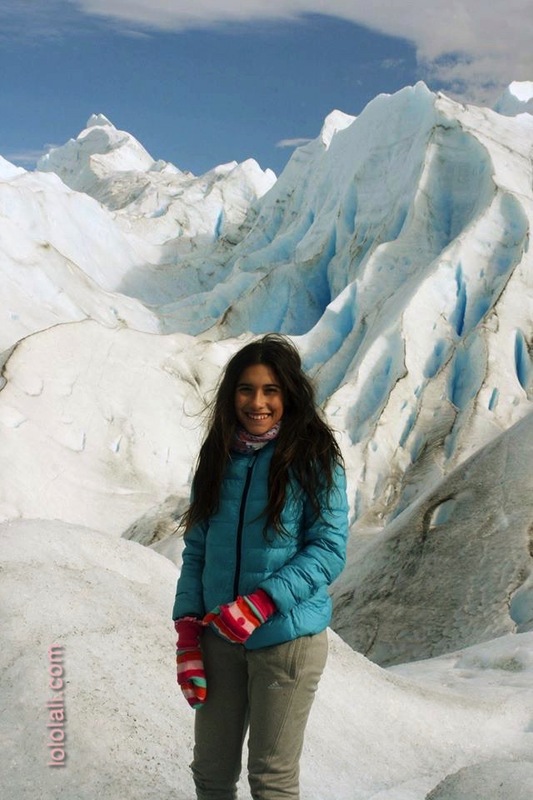 Ice hiking on Glaciers in Patagonia Argentina is quiete an adventure. 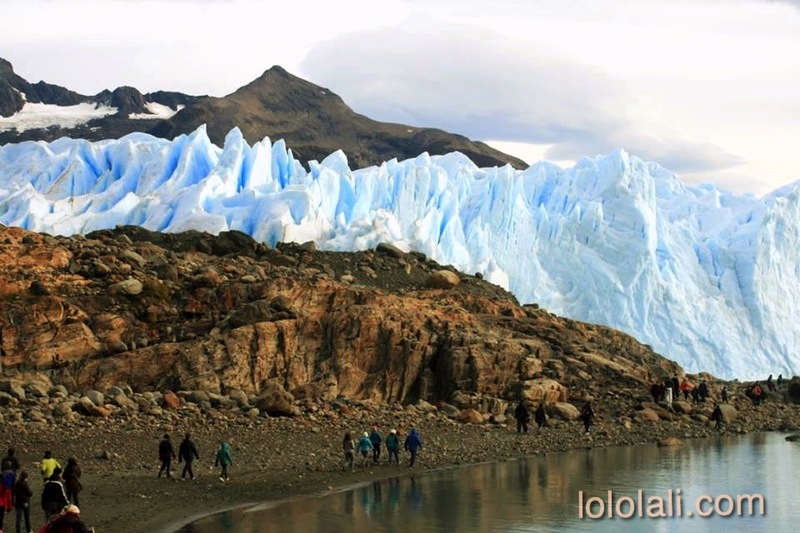 One of the main points of interest in Argentina is the Glaciers in the southern part of Patagonia. 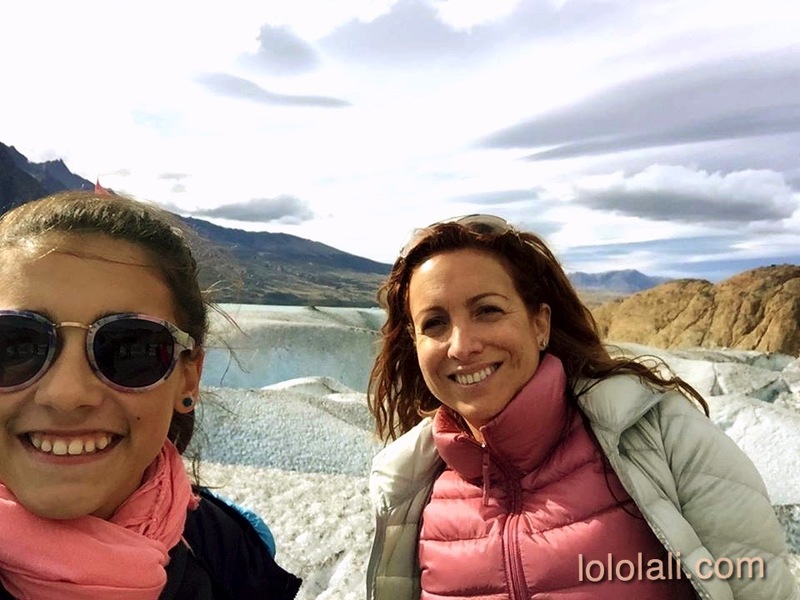 To visit the amazing Parque Nacional de los Glaciares you can fly to El Calafate. 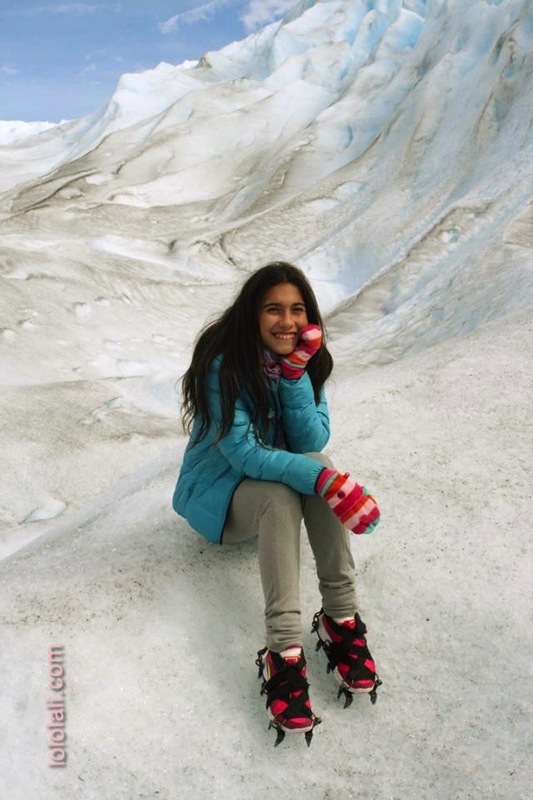 El Calafate is a small town in the province of Santa Cruz, and a must stop to visit the glaciers. You can fly from the airports in Buenos Aires or other airports in the country as well. 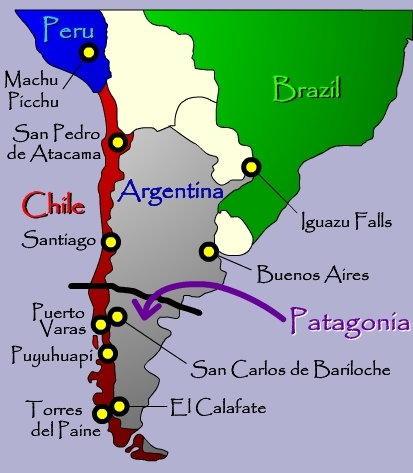 From Buenos Aires, the capital of Argentina, you can take a direct flight to El Calafate, and it is only a 3-hr flight. 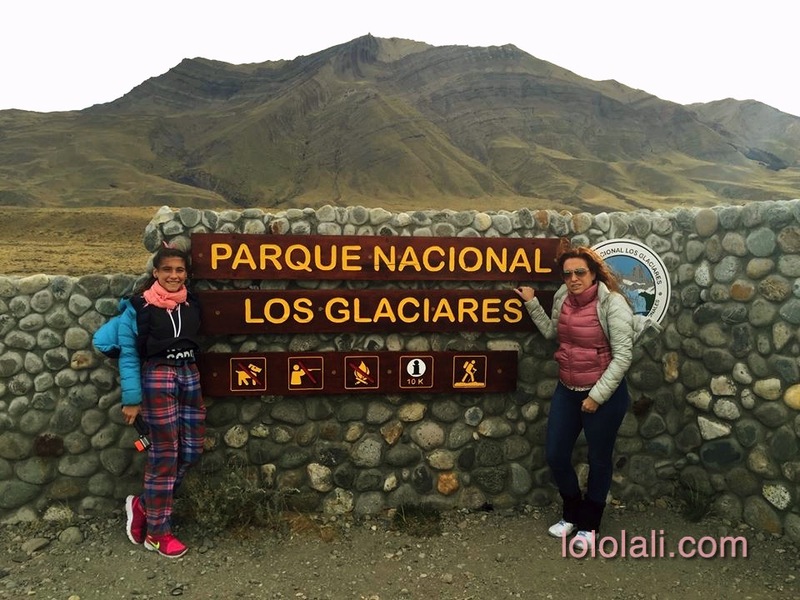 Parque Nacional de los Glaciares has 47 glaciers: Viedma, Upsala, Spegazzini, Ameghino, Moreno and Frías being some of the most important ones. There are many different ways you can see and enjoy the glaciers, most of them are by taking boat tours that take you as close as possible to many different glacier sights. You can also hike on them. 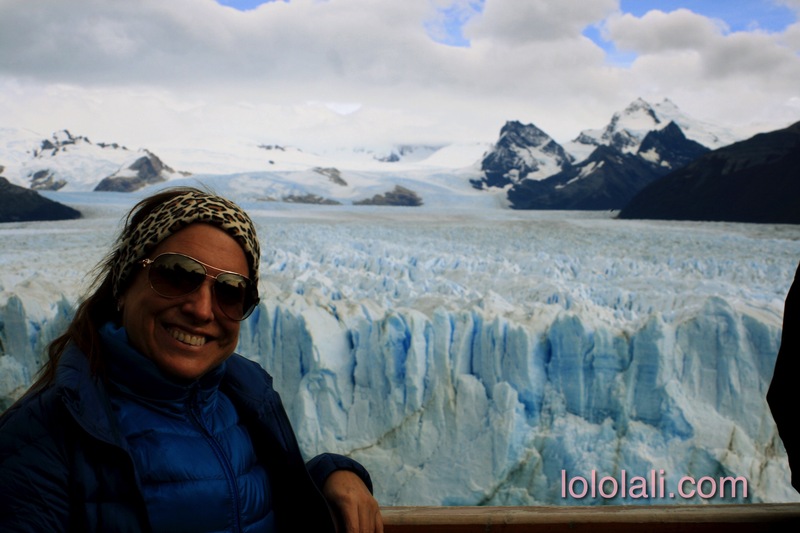 I, Lolo, hiked two of these glaciers: the famous Glaciar Perito Moreno and Glaciar Viedma. 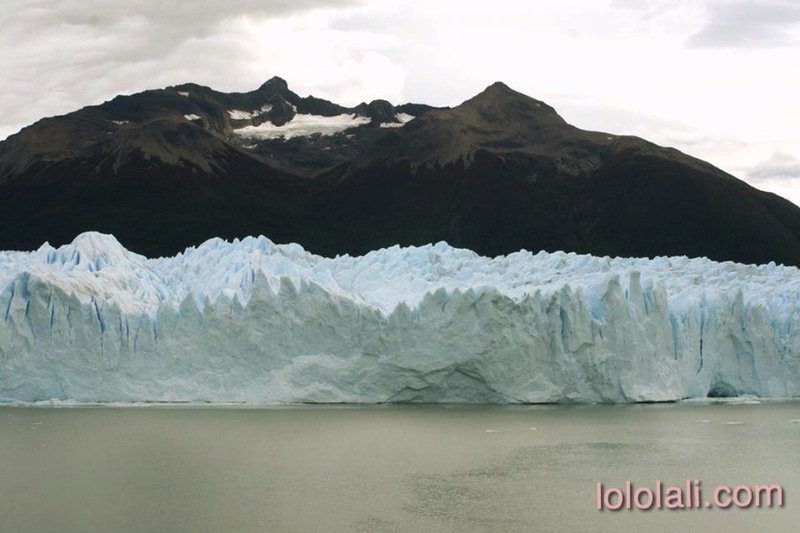 The view of the Perito Moreno Glacier from afar is absolutely amazing. 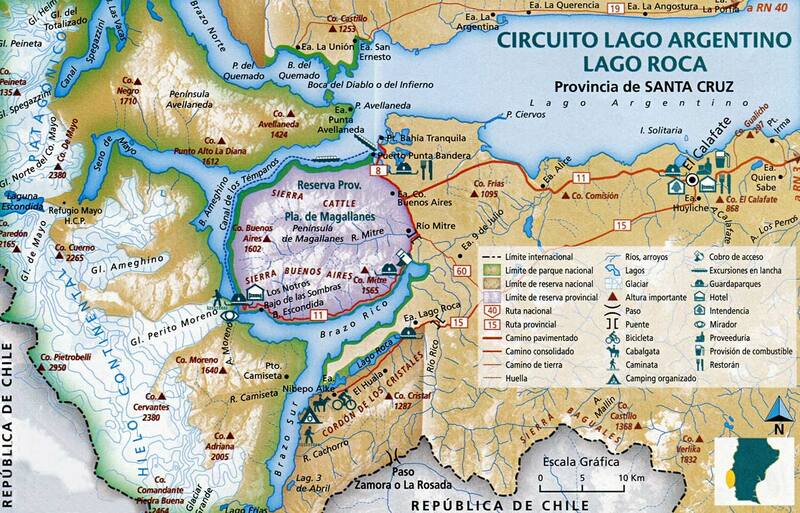 The glacier stretches around 5 km across Lago Argentino and around 30 km back into the mountains. Its front raises about 60 m high above the milky green water of the Lago Argentino. You can appreciate this incredible sight from the viewing platforms in the Park. This glacier is far from being just a still mass of ice. It moves up to 2 m a day. Big chunks of ice break off and you hear a thundering rumble as it falls into the lake. It is a unique experience that you will never forget. But, if you are the adventurous type, not needed to be the extreme type, you must go on top of the glacier and take an ice-hike. You can hire any of the tours at one of the many tour agencies in downtown Calafate. Nothing in El Calafate is cheap. It is one of the most expensive destinations of South America, but worth every penny! For hiking the Glaciers, be prepare to pay more than U$D200 per person. Hikes on the glaciers are from August to first days of June. So check out availability, and remember that Seasons in the southern hemisphere are the opposite to the northern hemisphere. 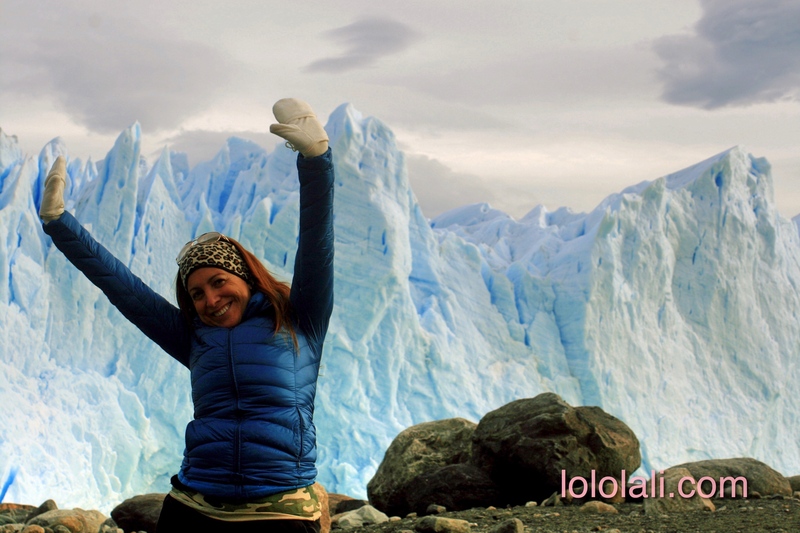 For hiking the Perito Moreno, you can choose from a mini-trekking tour or what they call the Big Ice tour. 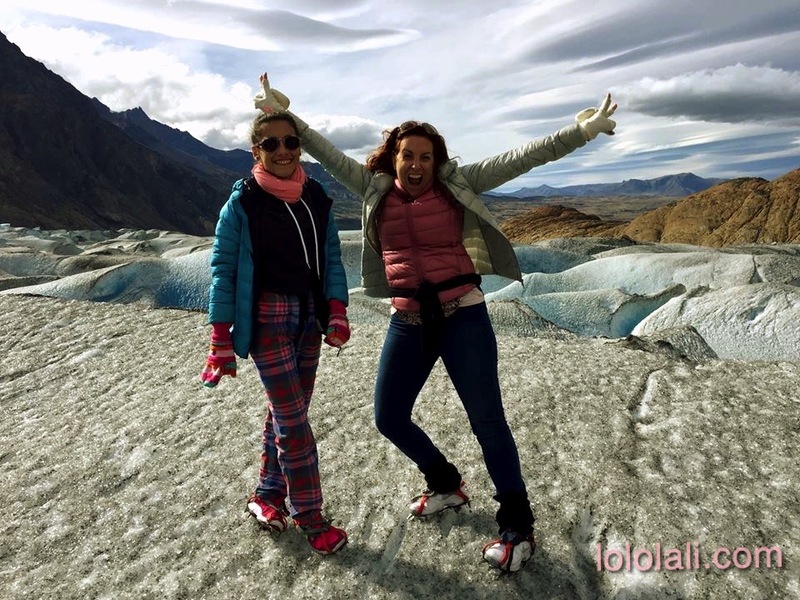 The mini-trekking tour involves around 2 hr-hike on the glacier, a not very demanding hike (my 13 yr-old daughter did it, so did my parents in their late 60s, although the tour agencies says that the age restriction is between 10 and 65 years old). For the Big Ice tour, you must be in better shape for the 4-hr hike on ice. 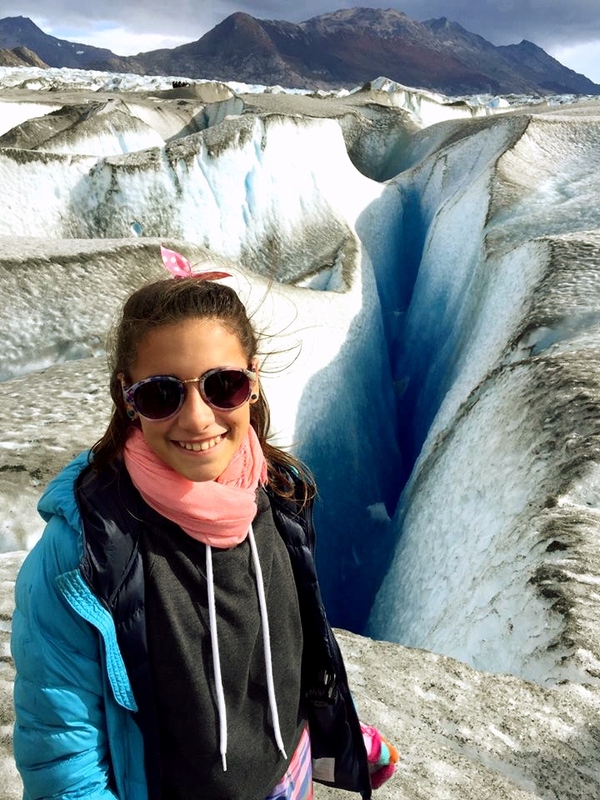 Both tours end up being an all-day tour, because of the ride from the hotel to the port, the boat ride to the glacier, hike, view of the glacier from the Park, lunch (not included) and back. 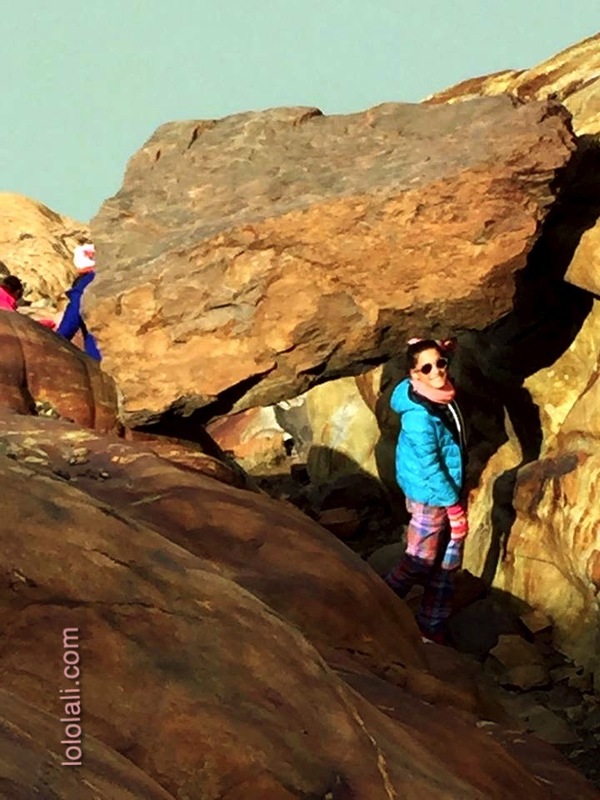 My daughter and I did the mini-trekking tour to the Glacier. They picked us up from our hotel in El Calafate at around 7:30 am. They left at the Bajo de las Sombras port where we took a boat. 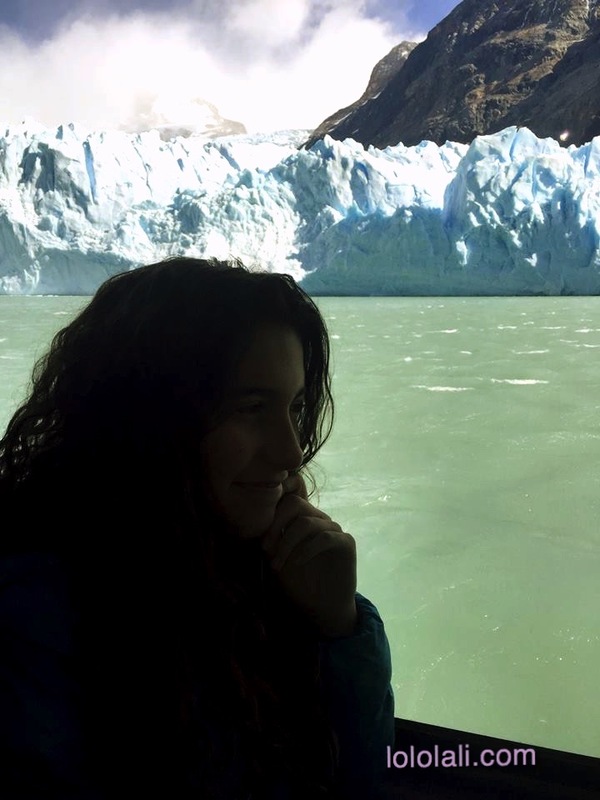 It is a 20-minute ride across Rico arm, where you have a chance to take in the breathtaking views of the face of Glaciar Perito Moreno along the way, as well as incredible icebergs and many other glaciers. Once you crossed the lake, you get to a rocky beach. People are separated in smaller groups with two or three guides per each group of around 20 people. This is just a quick preview to an awesome hike! There are groups for English, Spanish and Portuguese speakers. 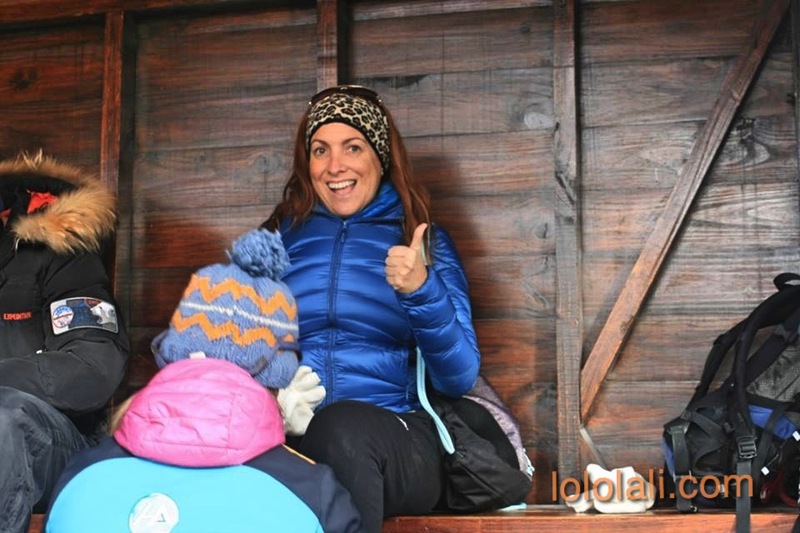 From there, the guides take you to a refuge to get your crampons on and start the hike. The guides will also show you how to use the crampons to stay safe. Angie with her crampons on and ready to start hiking. You start hiking along the lake´s shore towards the edge of the glacier. The hike is not very difficult, but it may be a bit scary at times as you climb ice ladders close to crevasses. Ice surfaces are irregular, but firm and safe. 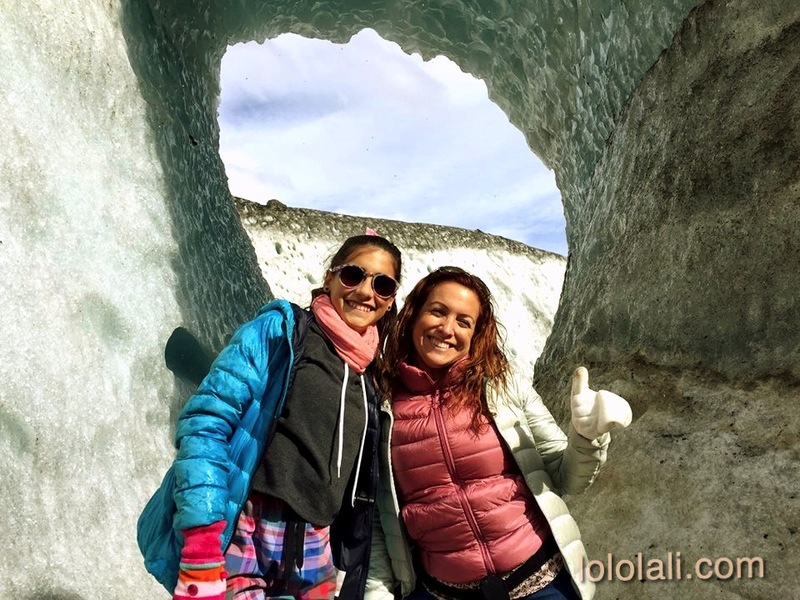 During the hike your guide will lead you on the glacier and show you the fascinating landscape of this glacier: streams, crevasses, caves, gullies and mesmerizing blue formations. After the hike, you stop for a glass of whiskey (with glacier water ice cubes), or real glacier water. A great way to end the hike… ¡Salud! 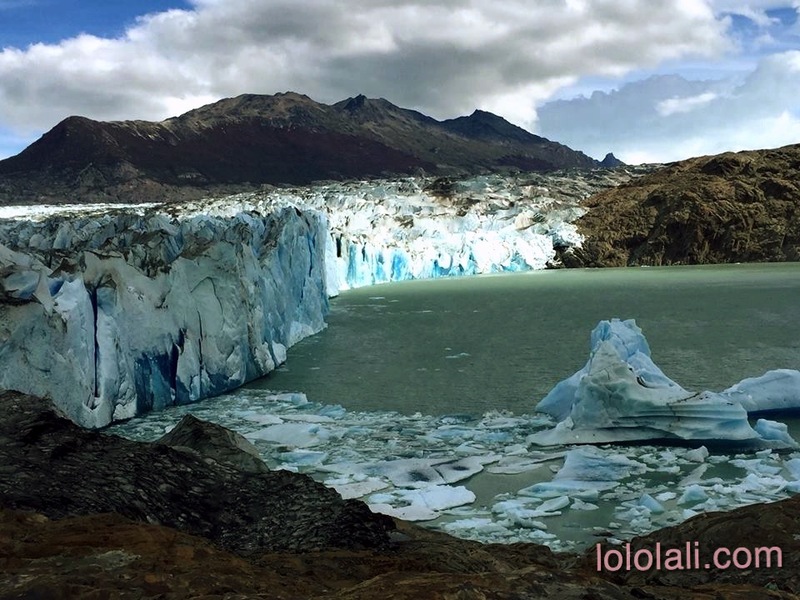 This glacier is on the Lago Viedma, 18 km from El Chaltén. 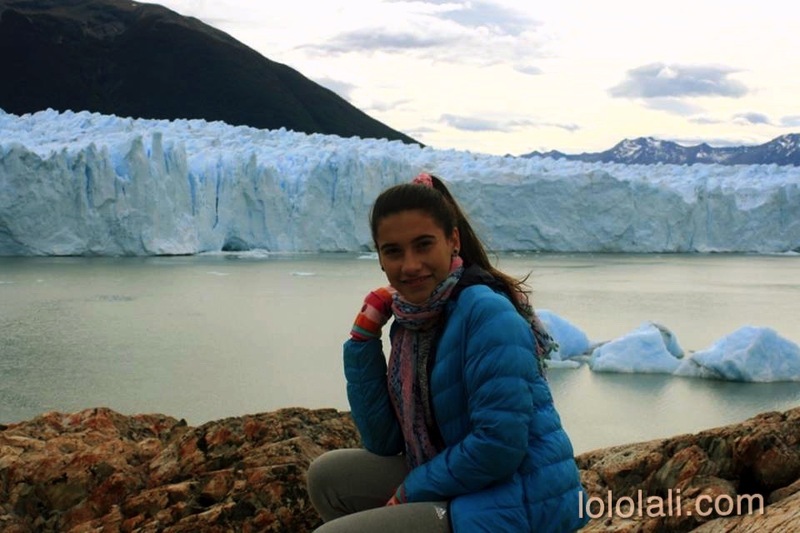 It is also in the Parque Nacional Los Glaciares, and it is the biggest glacier in the Park. It is 70 km long which makes it the longest glacier in South America. They called this glacier, a dirty glacier as it is not pure white like many others, but has ashes and debris due to glacier movement. Its front wall is about 2.5 km wide and around 50 m high. You can see the front icy wall of the glacier from a boat, or decide to take a hike on it. The hike is considered moderate and do not require any experience on ice climbing. 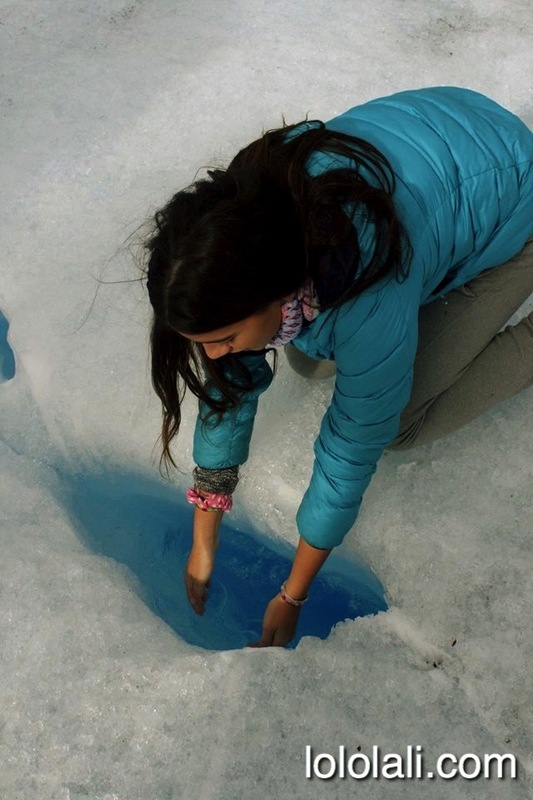 General info and procedures are similar to the ones described above in Perito Moreno glacier. 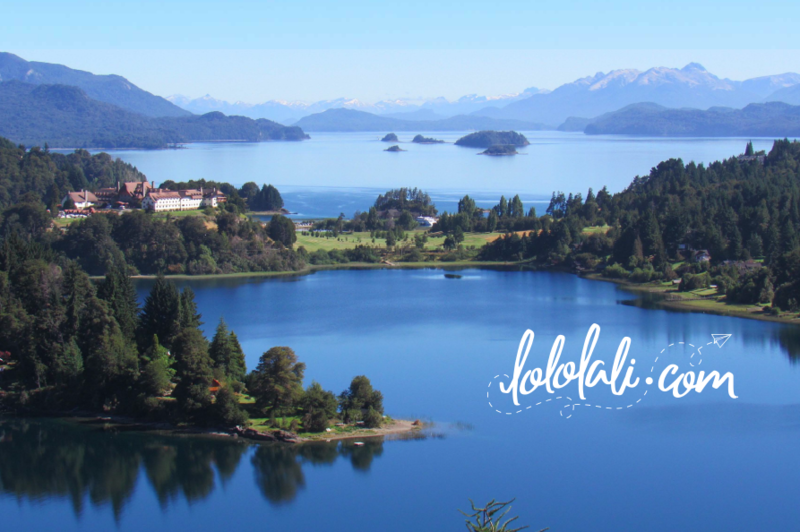 The boat will take you across the Viedma Lake, departuring from Bahía Túnel going South. It is a smooth ride, and you may encounter many icebergs along the way. The boat will take you to a rocky promontory on the side of the glacier. You will be separated in groups and taken to the edge of the glacier. This first part of the hike is beautiful! Once there, the guides will help you put the crampons on to start walking on the icy surface. 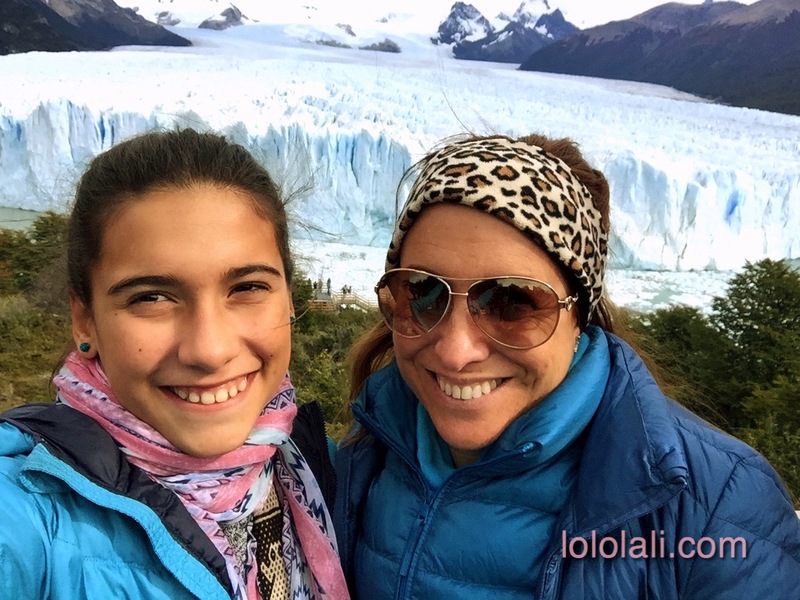 If you did the hike on the Perito Moreno, you may be thinking this will be just another hike on a glacier, not worth repeating. But you will be wrong! The hike on this glacier is a completely different experience. The whole tour will take around 7-8 hs, and you will be hiking for about 2-3 hs. 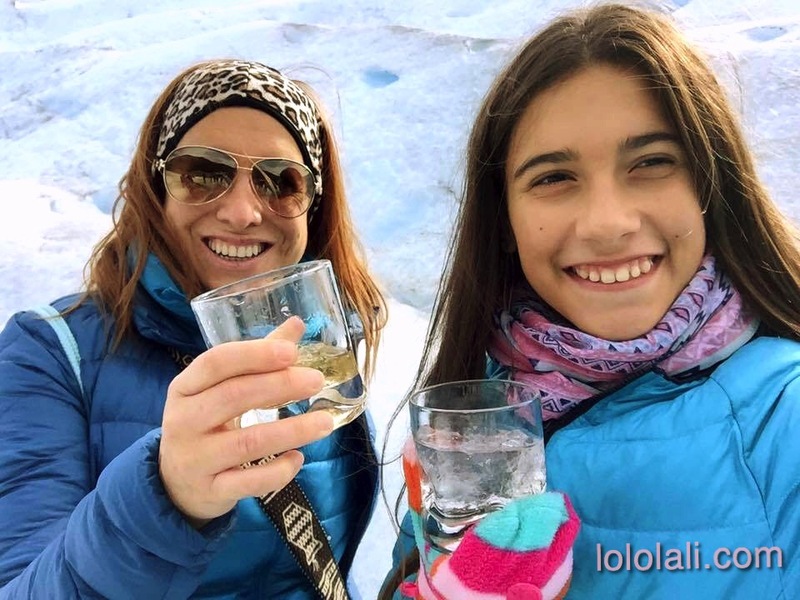 At the end of the hike of Viedma Glacier, everybody gets together for a toast, prepared by the guides. You need to pack a lunch, as you are on your own for meals and drinks. You can sit at the shelter and have a simple lunch with one of the most beautiful views in the region. After lunch, you start to head back. Tours will pick you up at the Hotel and drop you off on the way back. These tours are long, between 8-10 hs, as they cover long distances (by bus and by boat… and then the hike). When hiring a tour, make sure you get the one you want! There are many different tours with or without hiking, long and short hikes, moderate to difficult. comfortable sportswear, waterproof or windproof jacket. Best to dress in layers.